Loads of play value and imaginative fun! Loads of play value including 2 steering wheels, 2 rock wall-like climbing sides, a slide, platform play area, and an optional sandbox area underneath. 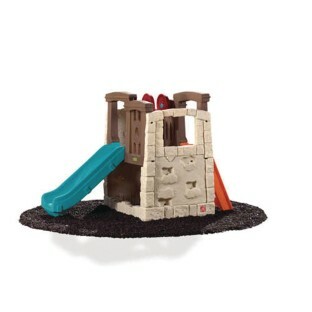 This durable climber will outlast the toddler years and promote loads of imaginative play! The Climber beautifully blends into residential surroundings with its natural colors and realistic textures.